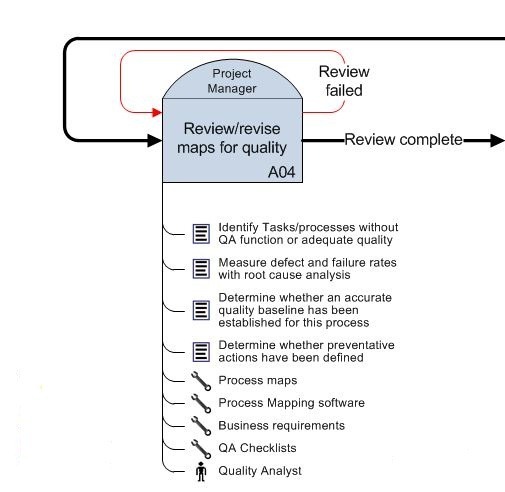 The third analysis pass through a process is for Quality. 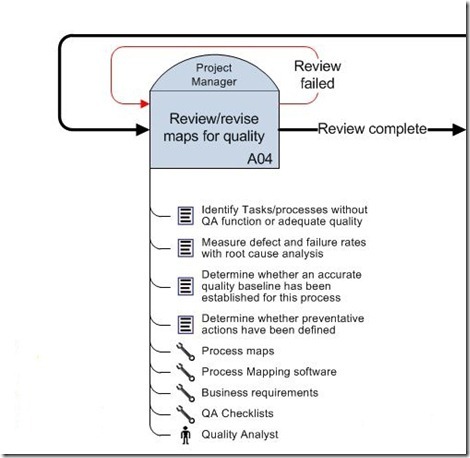 Identification of Tasks & Processes without adequate Quality levels or QA function; Ensure that standards being set for appropriate quality or QA function has been set and leveled. Measurement of defect and failure rates with root cause analysis; Measure quality and defect levels from the process and then analyze what caused the problem. Ensure changes in design, manufacture or delivery are made when root cause has been identified. Is there an accurate Baseline Quality established for this process? ; A quality baseline will keep everyone on the same level and expectations for the product or service. Determine if preventative actions are included in the Tasks/Processes. Preventing quality problems by building preventative tasks into the process can help dramatically reduce problems.